BETWEEN 1790 AND 1793, William Blake, then living on Hercules Road in South London, composed The Marriage of Heaven and Hell. A manifesto that took its political inspiration from the revolutionary ferment ongoing across the Channel, and its literary stylings from the Bible and John Milton, this work — aphoristic, obscure, reveling in dialectical language games — contains some of Blake’s most memorable lines (such as his observation that Milton was “of the Devil’s party without knowing it”) and guaranteed his reputation as one of Britain’s strangest literary talents. Over a century and a half later, in the midst of a very different revolution, Blake’s mantras would become the slogans for protesting students across the West. 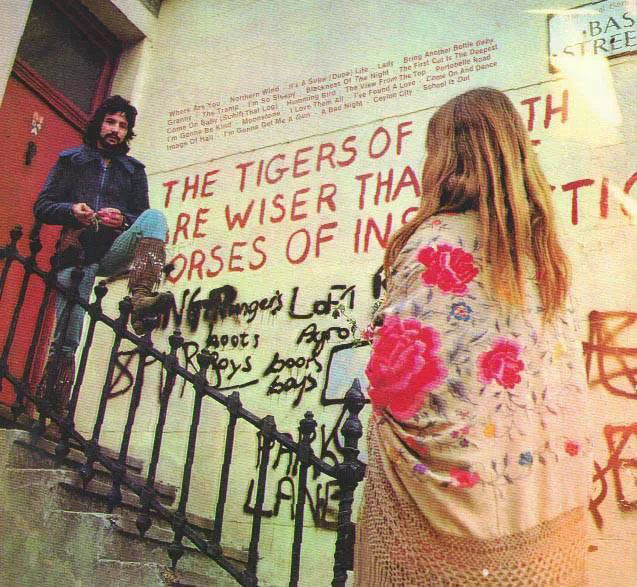 His observation that the “tigers of wrath are wiser than the horses of instruction” would be scrawled on radical walls from Prague to Oakland, California, while his famous reflection on the “doors of perception” would be borrowed for the names of Aldous Huxley’s mescaline memoir and Jim Morrison’s psychedelic rock group. I was on the other side. What I saw was an unruly mob of self-indulgent middle-class hooligans. When I asked my friends what they wanted, what were they trying to achieve, all I got back was this ludicrous Marxist gobbledegook. I was disgusted by it […] That’s when I became a conservative. Reading Scruton, one realizes that it was that last part, the Marxist gobbledegook, that really exorcised him. His prodigious output since then — 40 or so works of nonfiction, seven novels, two librettos, and a BBC documentary — have been volleys in his lonely intellectual war against what he sees as the academic and philosophical shortcomings of left-wing thinking in the 20th century. Fools, Frauds and Firebrands, originally published in 1985 as Thinkers of the New Left, is a reprise of his central intellectual effort to prove canonical left-wing academics either wrong or unscholarly, or both, on their own terms. This new edition is updated to reflect changed times and modified to both include new figures on the left-wing intellectual scene (Žižek, Badiou) and remove others (Laing, Wallerstein) whose threat, one assumes, has now passed. To hear him tell it, the book’s publication in the 1980s turned him into a pariah and signaled “the beginning of the end of [his] academic career.” Thereafter Scruton became something of an intellectual renegade editing the The Salisbury Review (motto: Discriminating, Intellectual, Elitist), working with dissidents and academic nonconformists in Eastern Europe, teaching, on occasion for no pay, on both sides of the Atlantic, fox hunting, reviewing wine for the New Statesman, being sued by the Pet Shop Boys, viciously attacked by Private Eye, allegedly taking money from the tobacco lobby, and, at the end of it all, still standing upright on the sidelines, intellectually confident and spiritually uncowed. This new edition of Thinkers of the New Left redux, for all its merits, shows its age. A lot has changed in the last 30 years, even in the leafy red groves of academe; the reader cannot help but feel that Scruton is happier refighting the battles of yesteryear — whose combatants are now, for the most part, dead (Habermas clings on to his various prizes and academic perches at 86) — than he is in addressing how his original insights now fare in a changed landscape. Of course, it would be unfair to criticize Scruton for failing to write about subjects that he has not set out to address. Fools, Frauds and Firebrands is a work of serious philosophical inquiry as much as it is a polemic, and it does not seek to address head on the problems of 2015. Nonetheless, when Scruton sniffs, for example, that no “free-marketeers will be invited to the table” of “the new Europe,” you begin to wonder where he gets his news from, and if indeed he gets any at all. Despite the loud title and the confrontational chapter names (a personal favorite is chapter six: “Nonsense in Paris: Althusser, Lacan and Deleuze”), Fools, Frauds and Firebrands is not what the reader might expect. Far from being a Vernichtungskrieg waged without mercy upon the hallowed figures of the left-wing intellectual canon, this is a remarkably evenhanded hatchet job, with Scruton staying true to the promise made in the foreword “to explain what is good in the authors I review as well as what is bad.” This commendable sense of fairness might leave some readers who came expecting blood somewhat peeved. Those who turned to chapter four, on Sartre and Foucault, expecting to attend a public execution will be severely disappointed, for Scruton lavishes praise on both. While he accuses Sartre of being “brutally Stalinist” at Les Temps modernes, he largely lets him off the hook for his cowardice, intellectual and otherwise, in the face of Nazi occupation. When it comes to Sartre’s oeuvre he is positively gushing: La Nausée (1938) “changed the course of French literature”; Being and Nothingness (1943) is a “masterpiece”; his 1945 lecture “Existentialism and Humanism” is “an extraordinary combination of philosophical argument, psychological observation and lyrical evocation”; reading the Critique of Dialectical Reason (1960) “is a grim experience” for Scruton, but he ends his analysis of Sartre on a positive note with praise for his “masterpiece of autobiography,” Les Mots (1963), and Saint Genet, (1952) a “masterpiece of modern Satanism.” Foucault gets a similar treatment, and is rewarded an additional gold star for coming to Jesus at the end of his life when the Solidarity movement in Poland seemingly shook him from his long left-wing slumber. While Scruton is busy with encomiums to the purported targets of his enraged pen, some unsuspecting innocents come in for rather unfair attacks. Dwight Eisenhower, arguably America’s only small-c conservative president since 1945, is exposed as the pink commie lover we always secretly knew he was. Ike’s description of the military-industrial complex in his farewell address was a “parting gift to Soviet propaganda” and the “principal instrument” in the creation of the “Cold War myth” concerning the alleged relationship between corporate and military exigencies. Meanwhile, no less an establishment figure than John Kenneth Galbraith, exactly the kind of old-fashioned insider liberal that the student radicals loathed, takes a sustained barrage for his polite, considered critique of America’s consumer culture. Indeed, whenever Scruton takes a cruise across the Pond he invariably discovers some hitherto undocumented left-wing perversity (The New York Review of Books, we learn, was the control room of much New Left sedition) and a new cause to defend in the face of unwarranted criticism. The latter case yields one of the most bizarre episodes in the book, where Scruton, riffing on his thought that “consumerism [is] the necessary result of democracy,” takes aim at the “visitor from the East Coast cities” for whom the “suburban sprawl of Texas is an appalling affront to civilization” put together by a kind of American “who is plainly of another species from the liberal” (Fox News would be proud) who is too smug and self-satisfied to see the sprawl for what it is: private property, “the cornerstone of their own independence.” What is going on here? What happened to Roger Scruton, writer and lecturer on aesthetics, scourge of modernist architecture? Where is the editor of the “elitist” Salisbury Review, whose namesake considered Downing Street too common to live in as prime minister? Where is the common sense conservative who recognizes that covering the land of the free in soulless, environmentally degrading, and economically inefficient urban/suburban/exurban “sprawl” is not, by default, the noblest expression of the principle of private property? The Frankfurt School’s hegemony in humanities departments the West over has largely gone unchallenged outside of sideswipes in publications like National Review, The Spectator, and, of course, The Salisbury Review. Scruton’s sustained critical analysis of their thought in Fools, Frauds and Firebrands should consequently be of great interest to the contemporary reader. Nowadays we are conditioned to believe that, for the most part, mainstream conservative thinkers only care about two things: the economy and foreign policy. Scruton’s thoughts on the Frankfurt School are a reminder that there are still conservatives who care passionately about culture and society, and that, furthermore, they have a narrative that takes us through the 20th century, from György Lukács to Bill Clinton, stopping along the away in Paris, Chicago, Berkeley, the various liberation movements, and the legislative landmarks (Roe v. Wade, etc.) that effectively dismantled the infrastructure of so-called “traditional values” and ushered in the permissive society. Tedium is the vehicle of an abstract authority, and the reader waits in the corridors of Habermas’s prose like a petitioner to whom the truth has been promised, albeit only abstractly, on a document that is perhaps already out of date. Whatever one’s politics, one cannot help but admire Scruton’s willingness to subject himself to tome after tome of New Left verbiage. Some of the passages he quotes from Lacan and Deleuze are astonishingly abstruse. However, he does not excerpt them merely in order to hold them up to ridicule, but so that he can translate them, consider their merits, and then deliver his verdict. Many conservative critics would skip the first two stages; most, I imagine, would not even bother to read Lacan in the first place. At the risk of repetition, it is worth restating that Scruton’s approach leads us to some unexpected, and valuable, conclusions. Fools, Frauds and Firebrands begins to make sense only when one realizes that Scruton is less interested in intellectual ends than he is in intellectual means. What he takes umbrage with in all the thinkers under review in this book is their “cavalier approach to serious scholarship.” He obviously loathes Lukács, the privileged young draft dodger turned latter-day Marat, but he loathes even more his “one-dimensional vision,” the “essential vacuity” of his “Stalinist method,” his parochial belief “that the theory of reification says it all,” and last, and most importantly, Lukács’s conviction that “you cannot just sample Marxism […] you must be converted to it.” It is this theological aspect to Lukács (it was Lukács, remember, who set himself up as a Dostoevskian “inquisitor” during his brief and bloody tenure as commissar for education in the Hungarian Soviet Republic of 1919), and to many of the other thinkers addressed in these pages, that Scruton cannot forgive. It is this betrayal of the skeptical, open-minded, Western academic tradition that he is seeking to confront and critique. Then, when you least expect it, Scruton pushes past his rage at their unscholarly ways and suddenly, and quite casually, reveals his sympathy with the intellectual conclusions of those whose methods he is attacking. Reification is nonsense, Scruton shouts, and then, he whispers, it “contains an element of truth […] a truth far older than the Marxist theories […] the truth that, in bowing down to idols, we betray our better nature.” He is suspicious of Horkheimer’s critique of instrumental reason on account of “his Marxizing,” but strip out this compromised critical mode and we discover that Horkheimer “says nothing unacceptable to an Ernst Junger or a Heidegger,” perhaps not even to a Ruskin, a Leavis, or an Arnold(!). In these moments we glimpse an interesting book that Scruton might yet write where the problems of globalization, consumerism über alles, and ecological decay are examined from the perspective of 19th- and 20th-century conservative thinkers: that damned and discredited lot cast like so many fallen angels from out the Elysian campuses of the modern academy. But for now we must make do with what we have, which is a serious, eccentric, and humorous work that will surprise and disappoint readers who have come to it expecting to have their ideological prejudices confirmed. For Scruton is not a dogmatist. He is rather like Harrison Ford’s character in Apocalypse Now: he does not necessarily argue against the conclusions of the intellectual Kurtz under review, merely their unsound methods, for which they must be critiqued with extreme prejudice. Those looking for the definitive takedown of Sartre should consult the relevant chapter of Paul Johnson’s Intellectuals (1988). Clement Knox is an Oxford University graduate and a writer currently living in London.